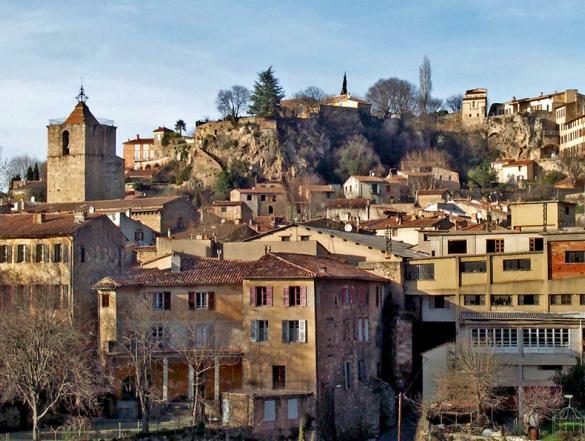 Barjols is a small town of around 3,200 inhabitants. 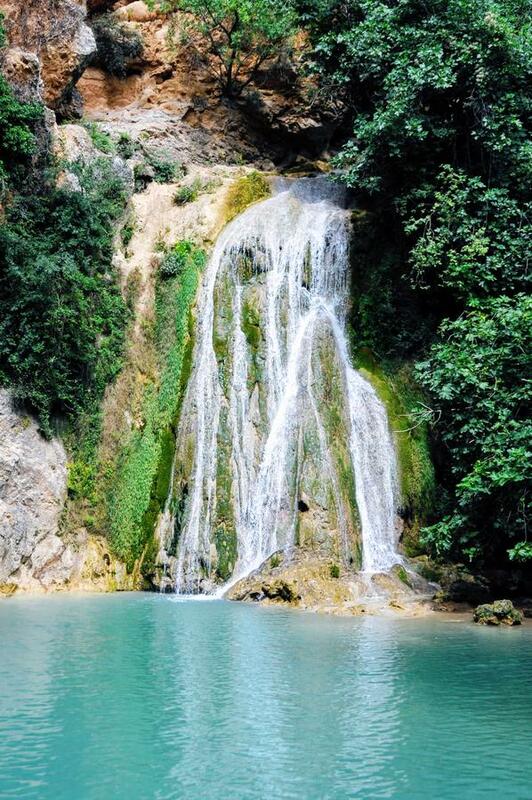 Close to it is a small geological feature which includes a small gorge and a series of caves. 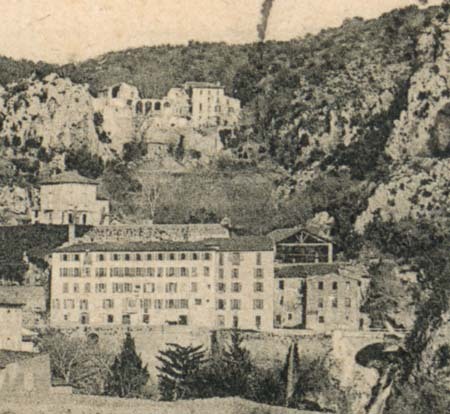 The caves became home to a Carmelite Convent. 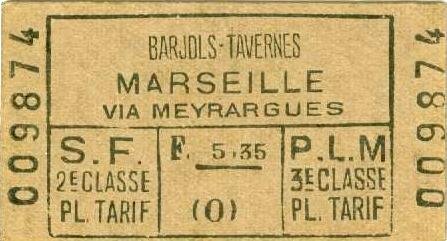 Along with much of France, Barjols experienced a period of agitation shortly before the French Revolution. In addition to the fiscal problems present for several years, the harvest of 1788 had been bad and winter 1788-1789 very cold. The election of 1789 provoked agitation and heightened a sense of class difference. 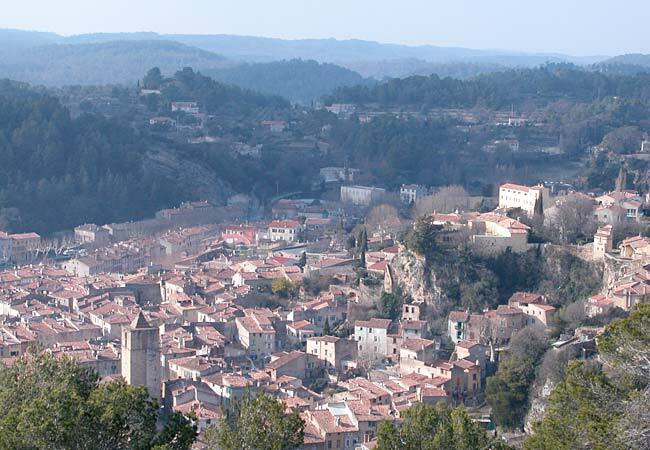 At the end of March 1789 riots and insurrection shook Provence. A food riot occured in Barjols on 26th March 26. Peasants attacked property owners seeking to force them to cancel outstanding debts. The reaction was to call out ther local constabulary, then to institute legal proceedings, but ultimately those convicted were not imprisoned. 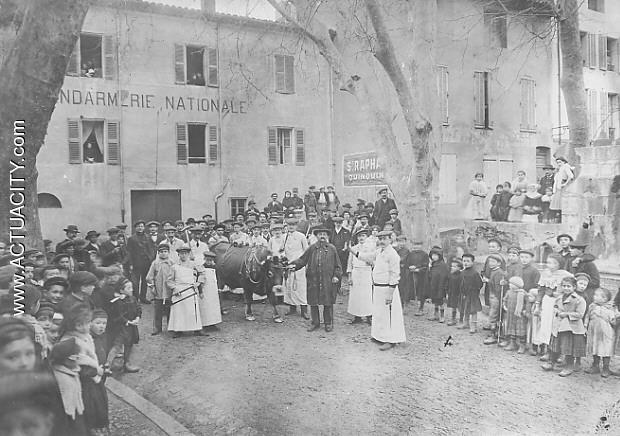 The storming of the Bastille resulted in a climate ofvfear in the region and amnesties were given in August and a civil guard was created, made up of local owners, artisans and farmers to protect against further revolt. Ultimately the revolution took place throughout France and everything changed. 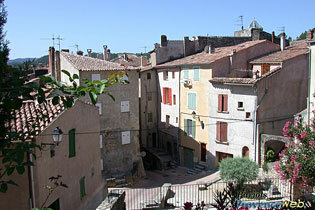 In the 1790s Barjols was chief town of the district. It was wealthy. 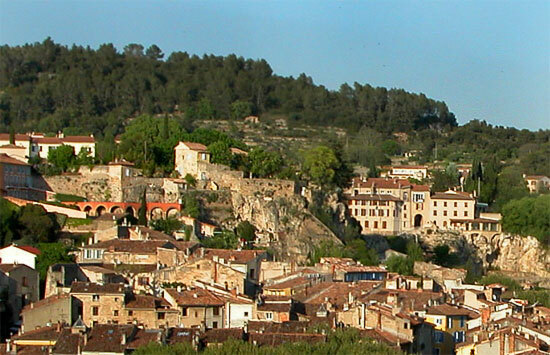 In the XIX th century, Barjols had become the ‘French capital of leather’. 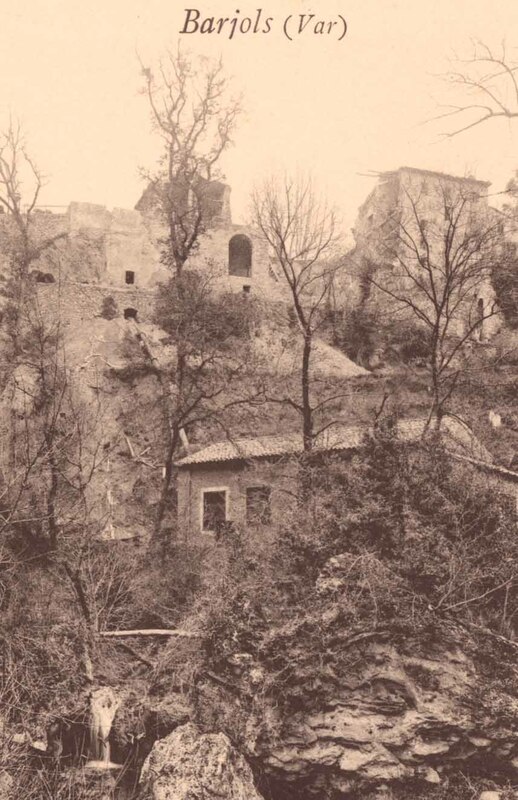 It had 24 tanneries and a sreies of 23 mills. Also, interestingly, a factory making playing cards. In the Middle Ages, bow hunters and breeders sold or traded their skins to local artisans, most often to the shoemaker himself who tanned them. In 1608, Jean-Baptiste Vaillant installed the first tannery factory thanks to the tax benefits granted by Henri IV, a fervent advocate of industry. 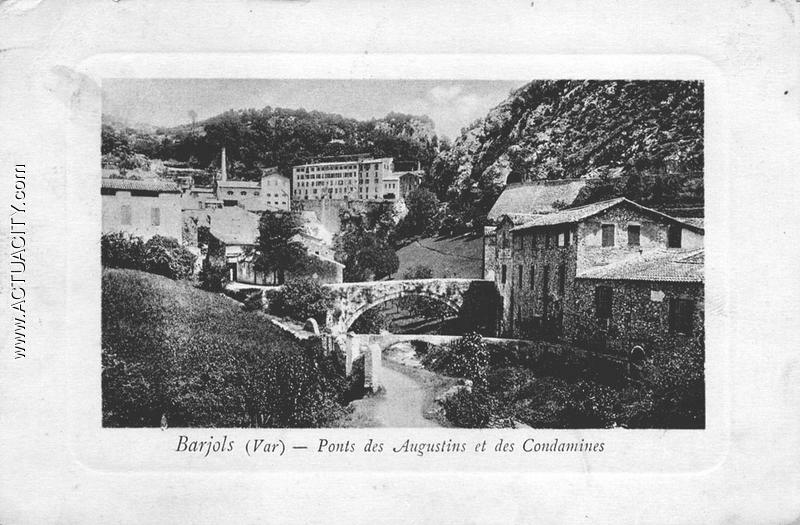 Barjols had 300 years of prosperty resulting from the tannery industry. There were 24 tanneries by 1782. In 1900 it wasnoited that Barjolais tanners treated so-called “exotic” skins from Africa, Asia and South America. At the beginning of the 20th century, new tanning methods appeared and revolutionized the leather industry. The new methods, vegetable tanning, reduced the tanning time from several months to a few weeks. However, the real revolution lay in the discovery of chrome tanning that lasted only 24 hours. 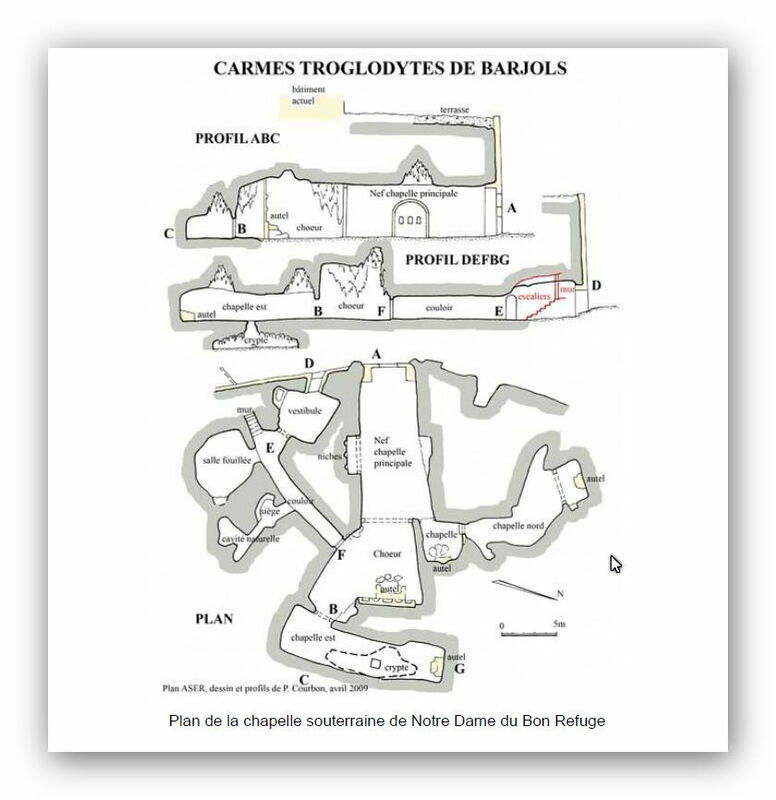 Competition became significant and the number of tanneries in Barjols declined. 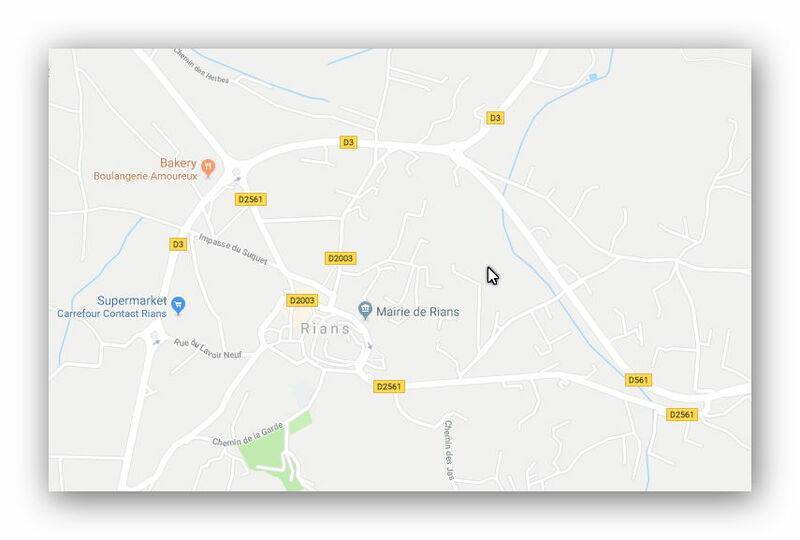 At the time of WW2 there were only 3 larger tanneries in Barjols, but they were still employing more than 450 people and represented 5 to 7% of the total production of French tanneries by processing 5,000 tons of skins per year. 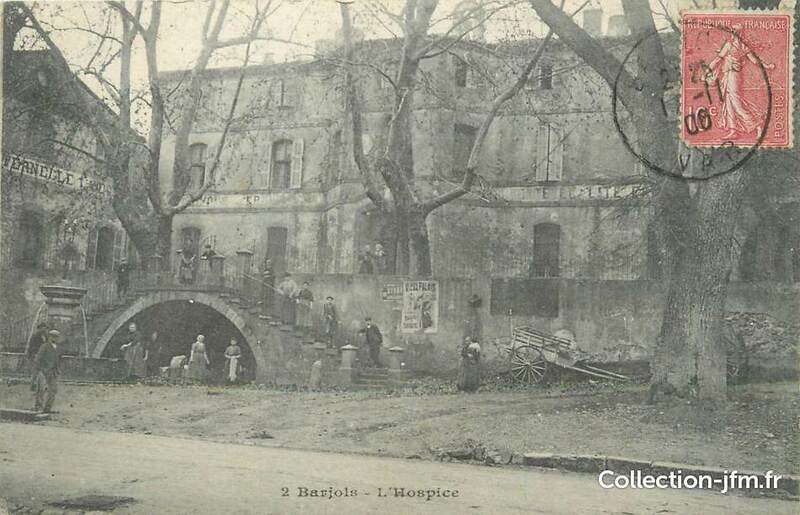 Decline set in in the 1950s and the last tannery in Barjols filed for bankruptcy in 1983. The work had primarily moved abroad, to the USA, South America and elsewhere. Today the large tannery buildings serve as lofts or workshops for a large community of artists based in the town. 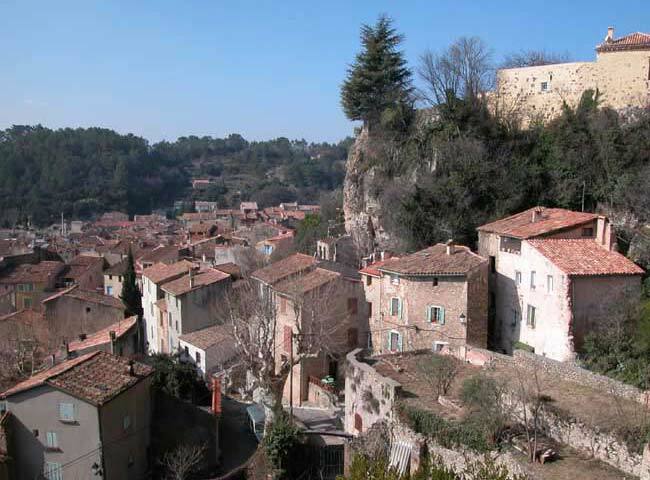 Barjols calls itself ‘the gateway to Haute Provence and the hills of Var’, near the Gorges du Verdon and the Lake of St. Croix, it is a peaceful village, set on a limestone cliff, and an inviting stop for visitors. 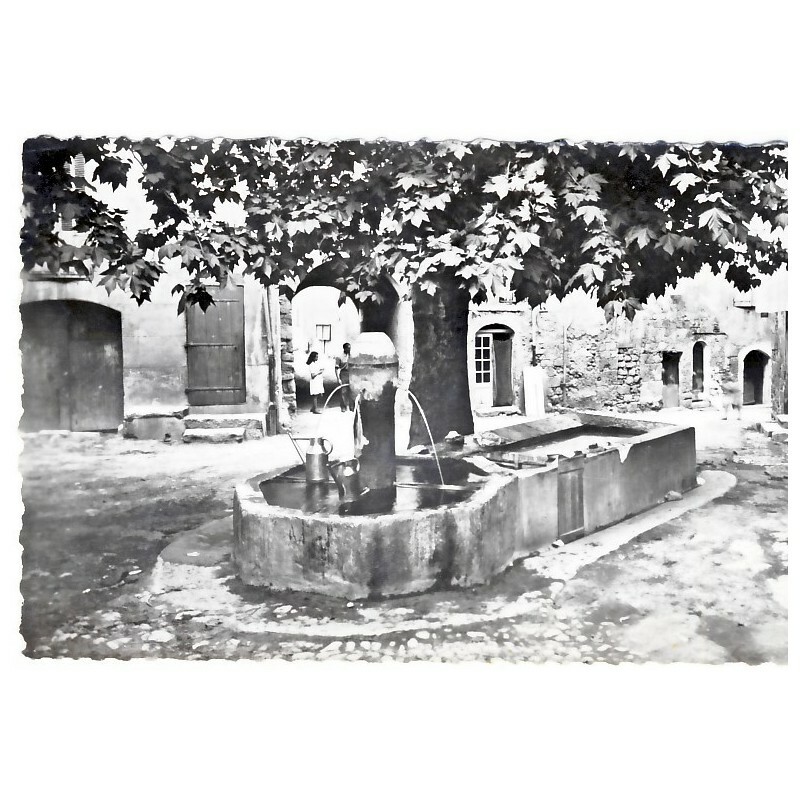 It has 42 man made fountains, Barjols’ architecture and life have been determined for centuries by the abudance of water. 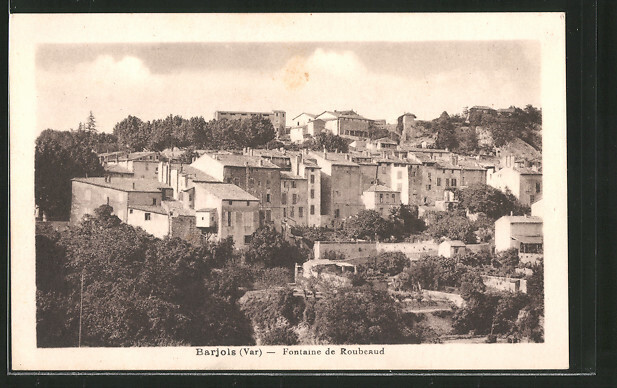 Because of its more recent industrial past Barjols didn’t develop into a big tourist destination and so has kept many features and characters of French village life. 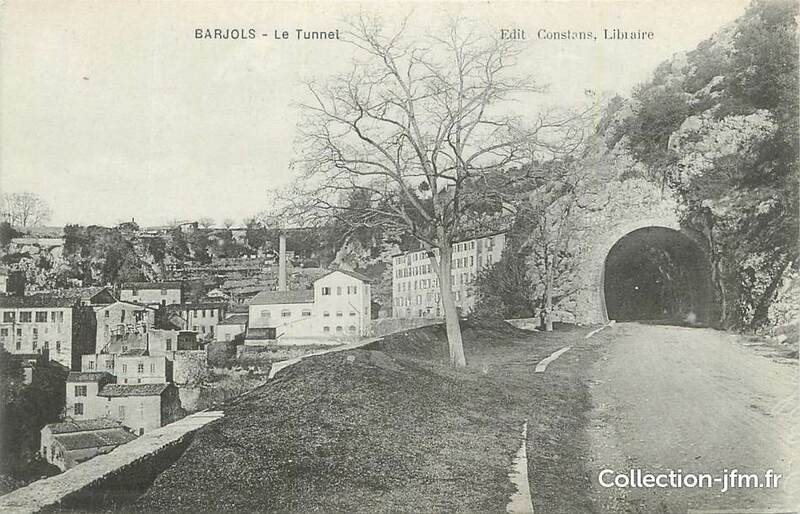 Having taken time to get to know Barjols we head bak to thge railway station to continue our journry. As we do so we find on thge street a ticket which must have been dropped by someone. We set off on our journey bearing this lost ticket and enjoyingvthe accommodation in 2nd Class. Once we leave the station travelling towards Rians we find ourselves in cutting and quickly going under a road over-bridge. 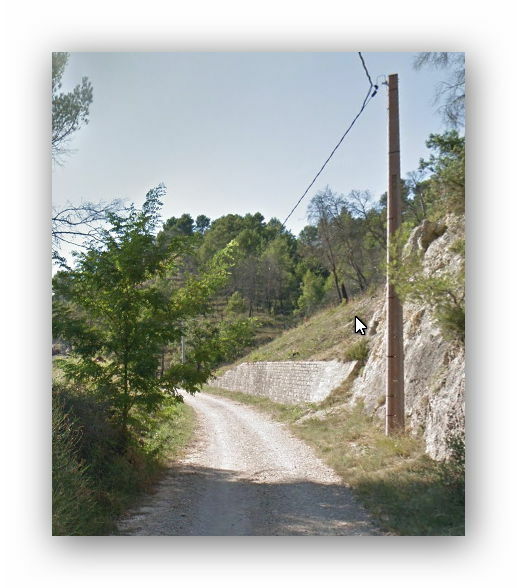 The modern name for the route is HLM les Camps. 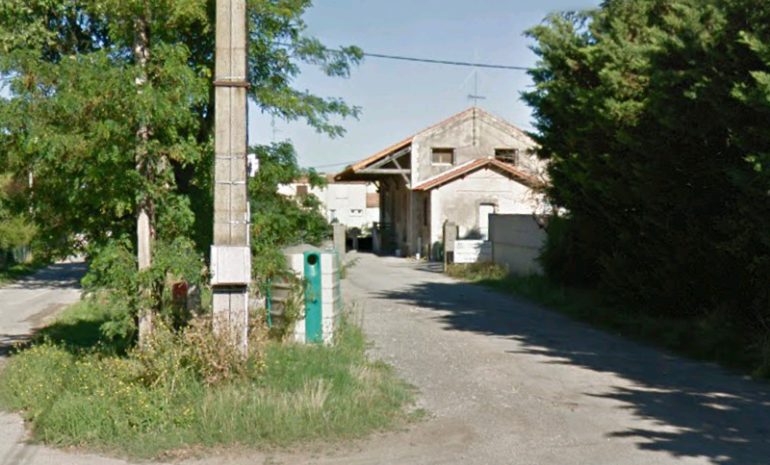 The image below is from Google Streetview as is taken looking back towards Barjols Station. 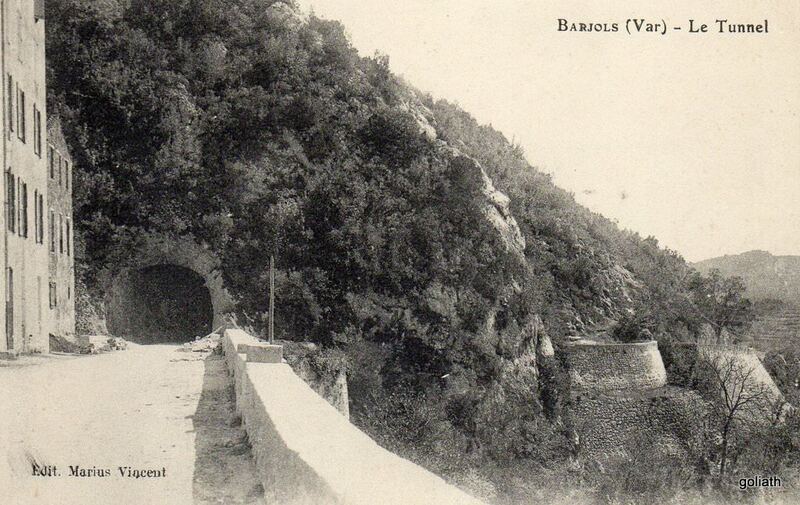 The route continues towards Varages and encounters a short tunnel. both the portals are shown below, together with a map which marks the tunnel with a black dotted line with arrowheads at each end. 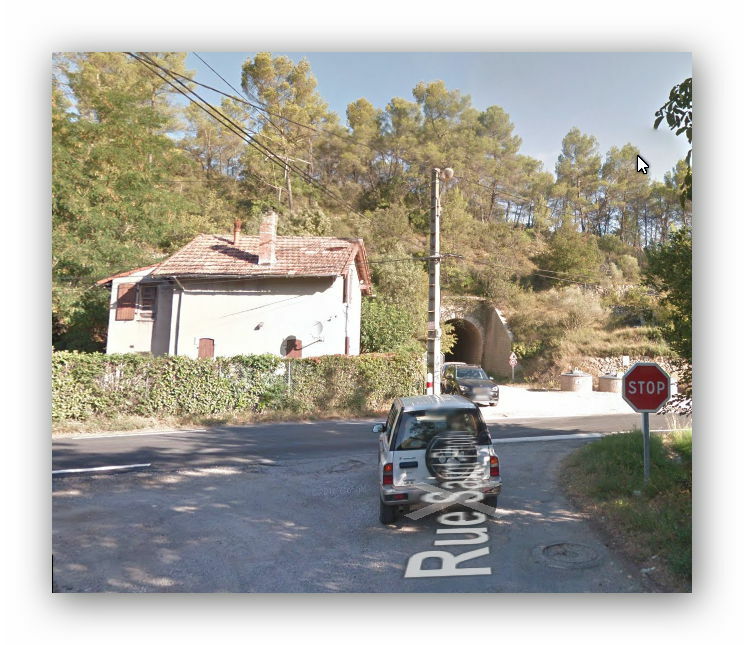 beyond the tunnel the line continues to follow Chemin de Varages-Pres, a gravel road based on the formation of the old line. 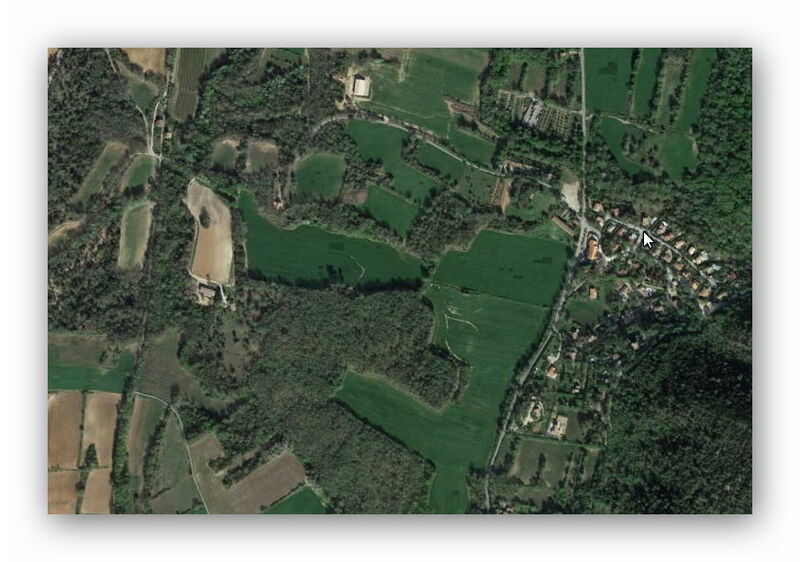 The aerial shot looks back down the line towards Barjols and gives a good impression of the scenery around the line. Hidden behind trees in the centre of the image is a crossing keeper’s cottage. the formation of the line is now overlain with a broken tarmac surface. 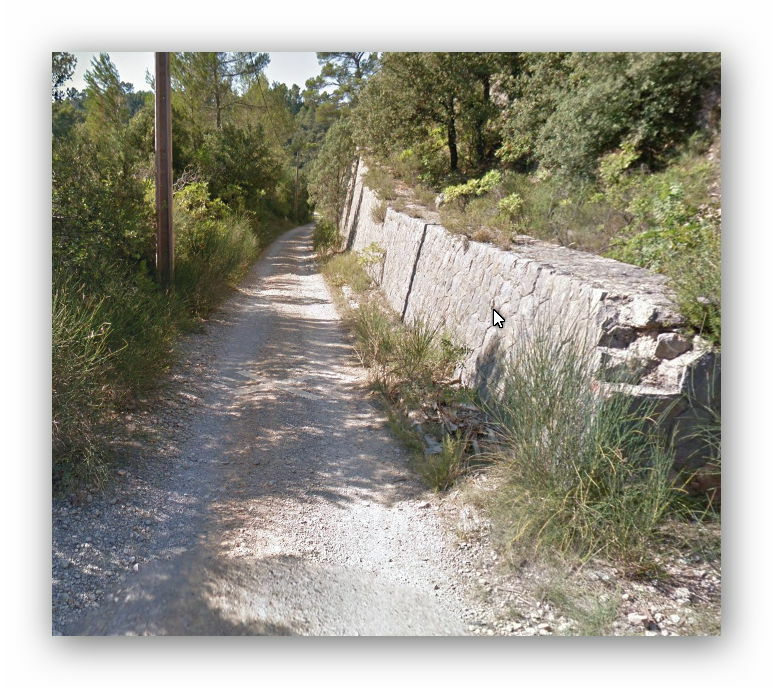 The line continues on towards Varages held high above the local road on a series of retaining walls. 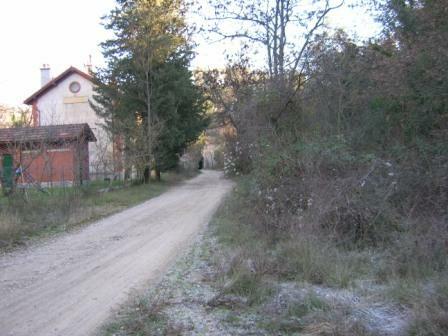 The road comes up to meet the railway and crosses it. 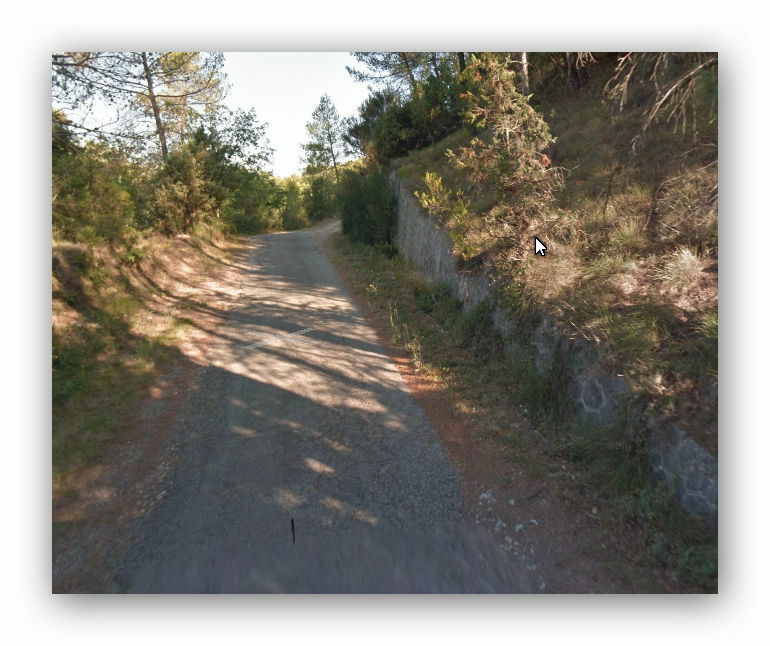 There are two images below the one of the retaining wall which show the crossing, the first looking back down the line (the railway came down the track behind the green waste bin. 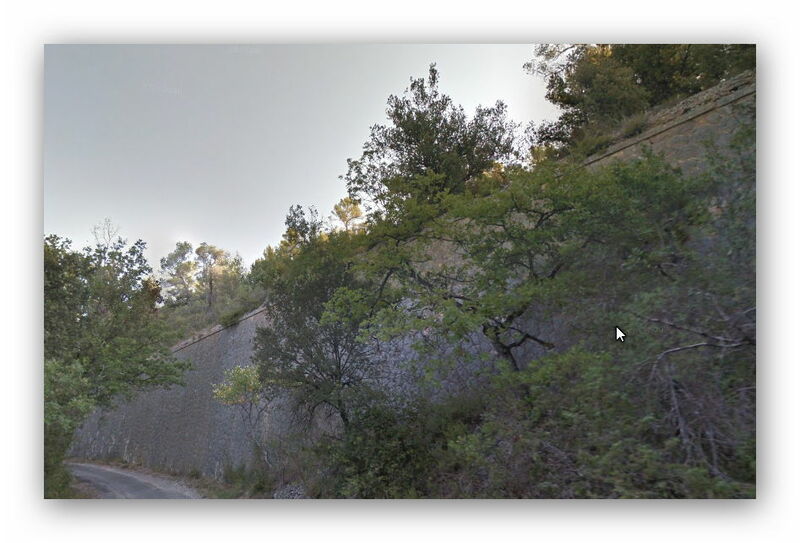 The second image shows the formation and the road diverging again. 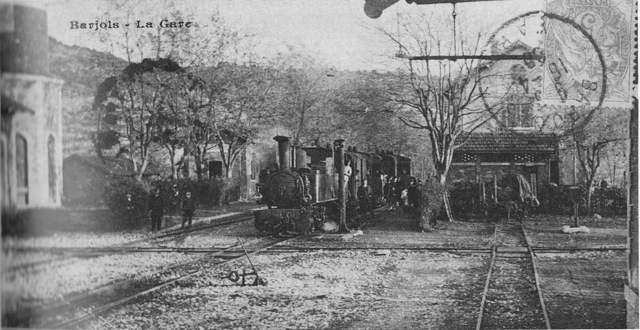 The railway took the route on the left of the picture which is now covered in tarmac. 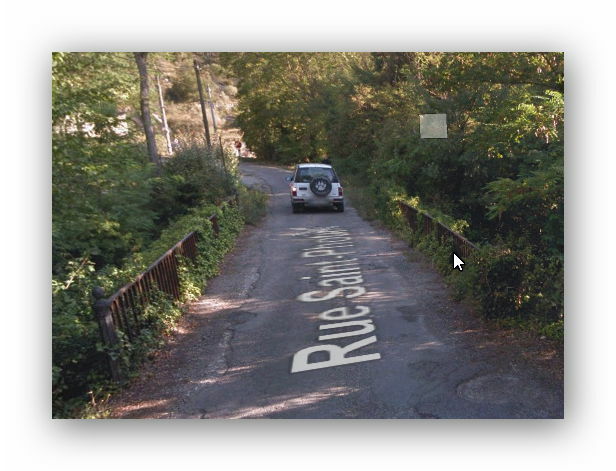 Rue Saint-Photin continues to meet the D35, crossing a river bridge en-route. 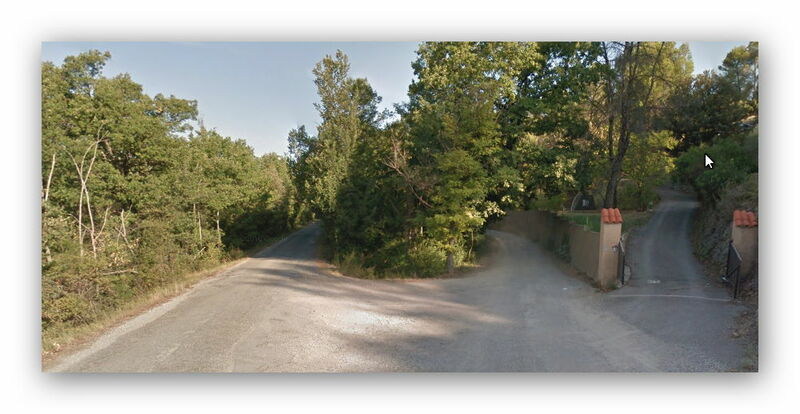 The crossing keeper’s cottage can be seen at the junction, as can the portal of the tunnel beyond. 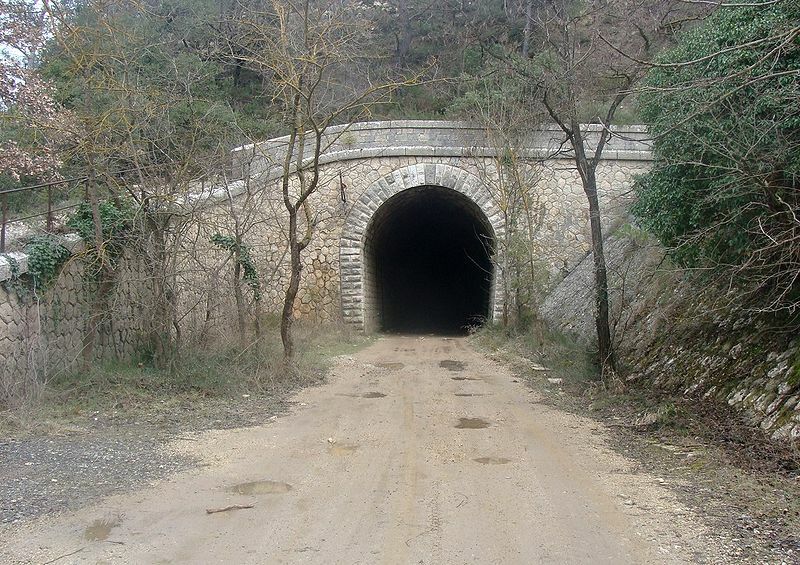 The line disappeared into m a short tunnel just beyond the present D35. 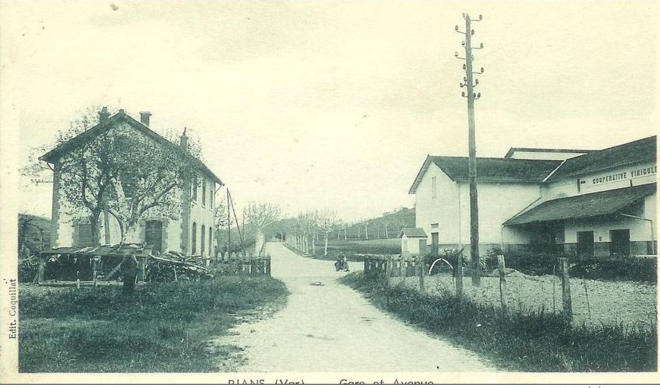 The formation continues to be tarmacked and carries the road along below the village of Varages and into the old station. 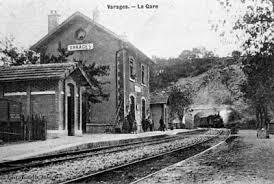 Our train can just be seen now in the old postcard exiting the tunnel portal and arriving at Varages Station. 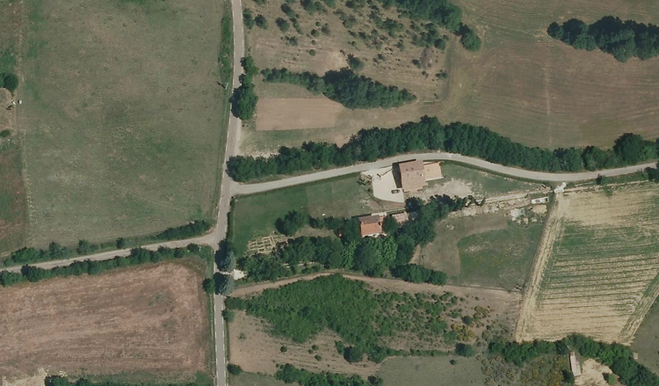 Beyond Varages, the line continues in a North-westerly direction for half a kilometre or so before diverting westward. Just south of Bezaaudon and with the D561 nearby, the trackbed becomes inaccessible for a while but continues to follow the routs of the D561 but a hundred or so metres to the South. 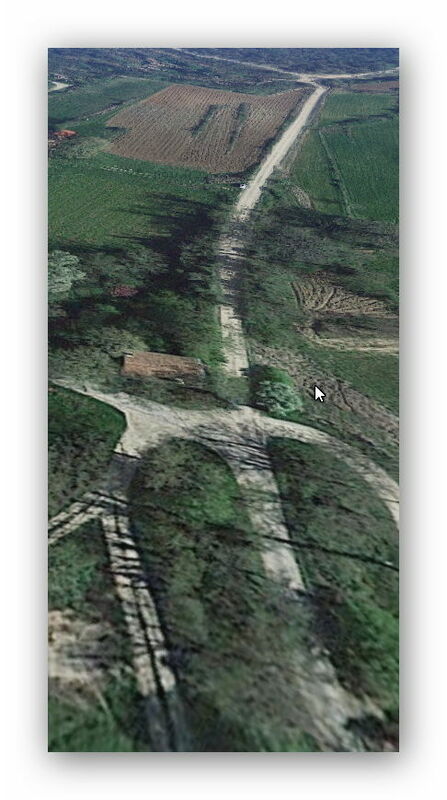 And by the time the D561 turned south to cross the alignment, the railway was bridgeable as it was in cutting. The D561 leaves the rail alignment here and also crosses the river, heading away southwards. The line continued along the river bank to the next station. 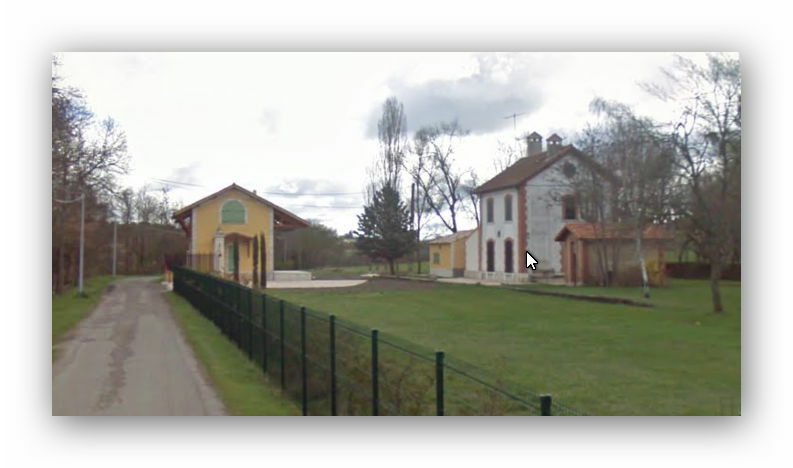 The station for the village of Saint-Martin-de-Pallières sat in open fields to the north of the village. 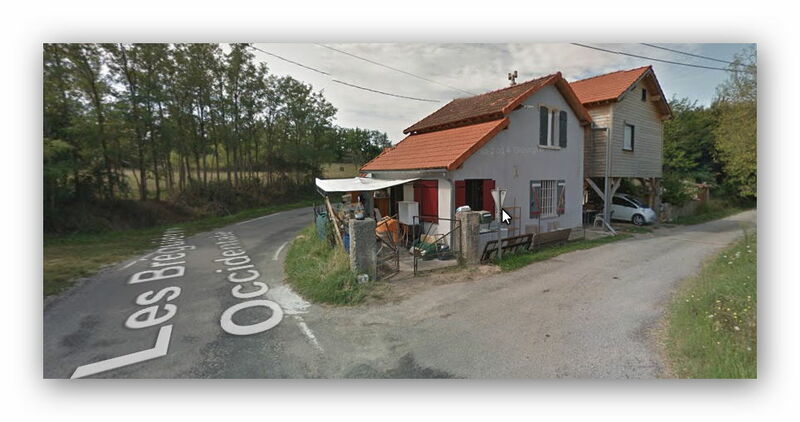 The next visible structure on the route is the crossing keeper’s cottage at Les Bréguières Occidentale, Esparron. The landscape alongside the line is now predominantly made up of flat open fields and the line itself travels along the flat landscape with cuttings or embankments. 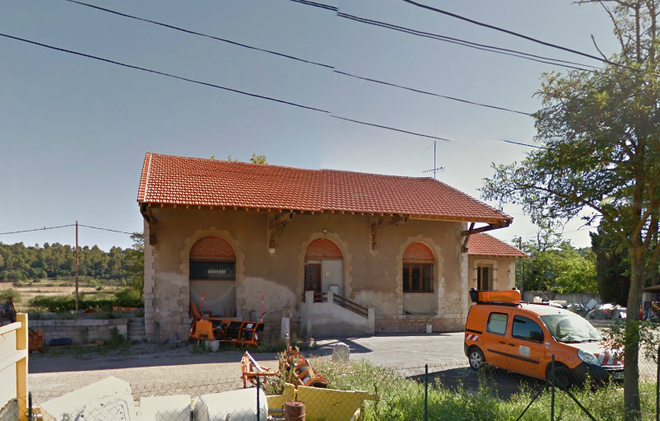 Our next stop is at Esparron Station. The private dwelling and gardens have been nicely restored. 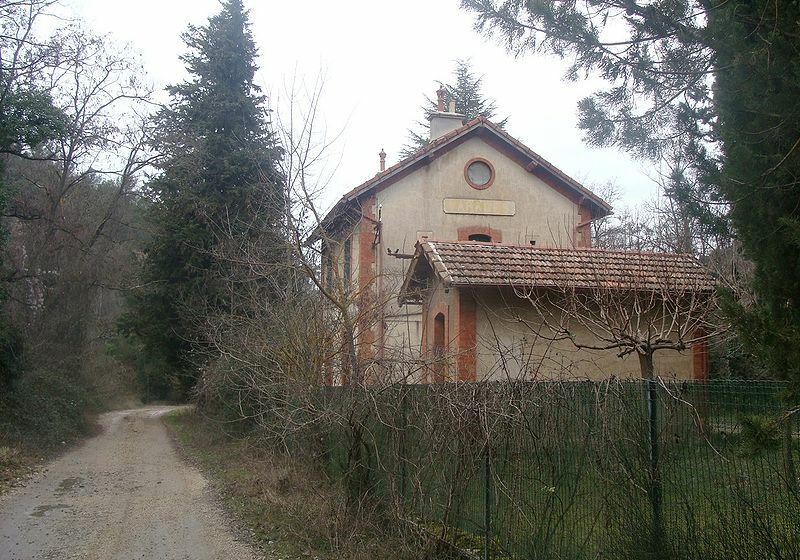 The line travelled between the two remaining structures, the station house and the goods shed. Even part of the station platform remains visible. The D70 was crossed at grade and the line headed on to meet the D561. 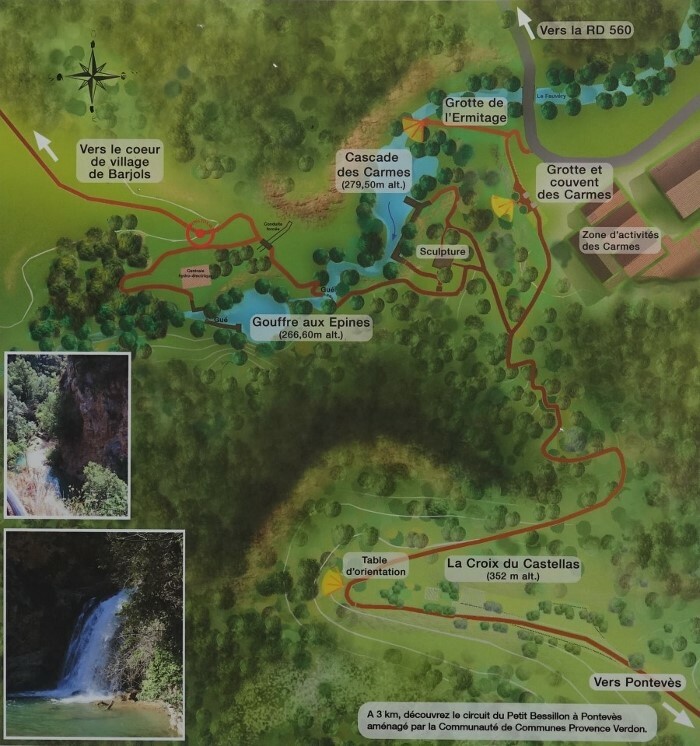 On the plan above, Esparron can be picked out in the bottom right and the route of the line runs from the top right to the top left. 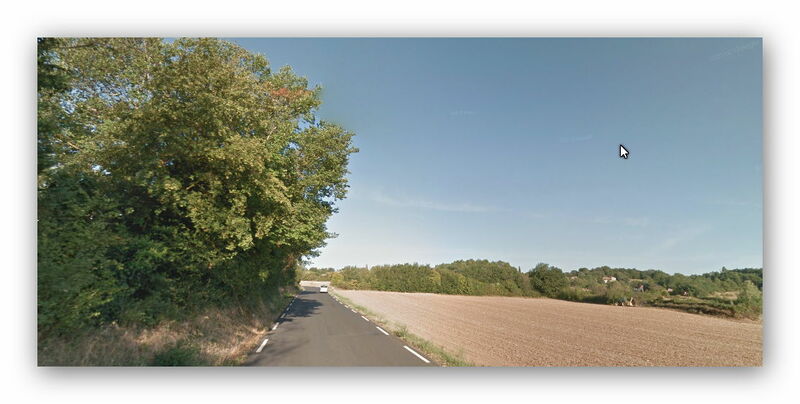 A tarmac surface means that it is easy to follow the route in a vehicle. We did this in November 2017. Further West the formation runs directly alongside the D561, before crossing it at grade and running on the South side of the road, hidden behind the trees in the picture below. 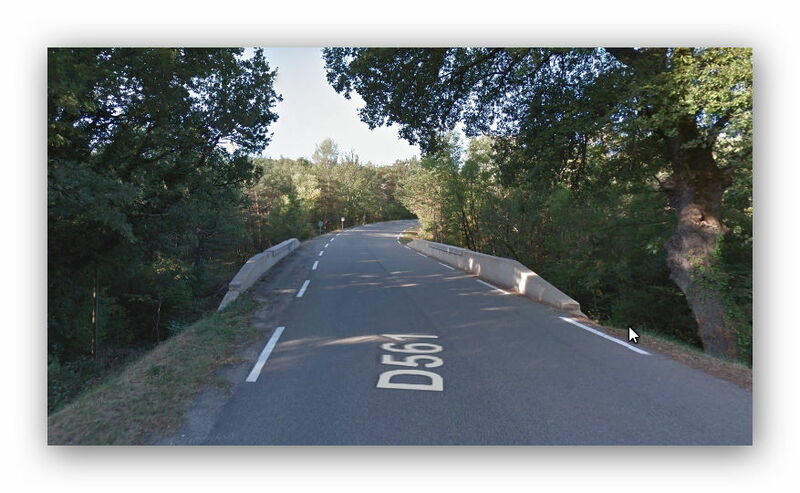 It joins the D561 just before reaching Rians and then follows that road up[ to a roundabout junction with the D3 which it crossed at grade. 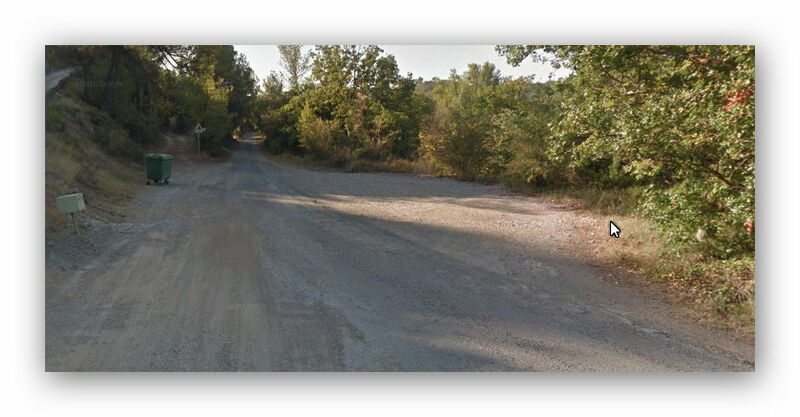 Evidence of the crossing point is hidden under the modern road layout. 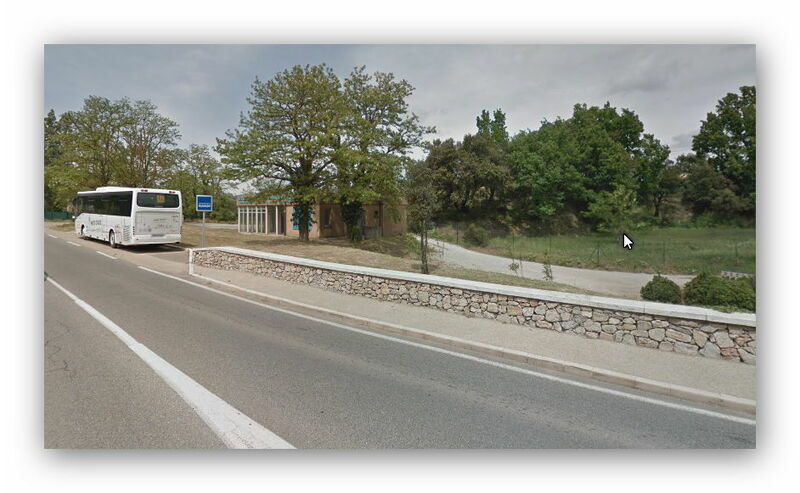 Although its route can be picked out just beyond the roundabout leading away to the north of the D3 and becoming Chemin des Herbes. 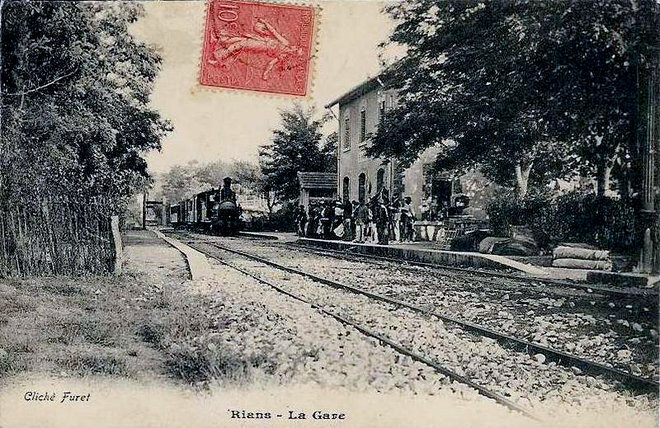 The Station at Rians was on the North side of what is now the D3. 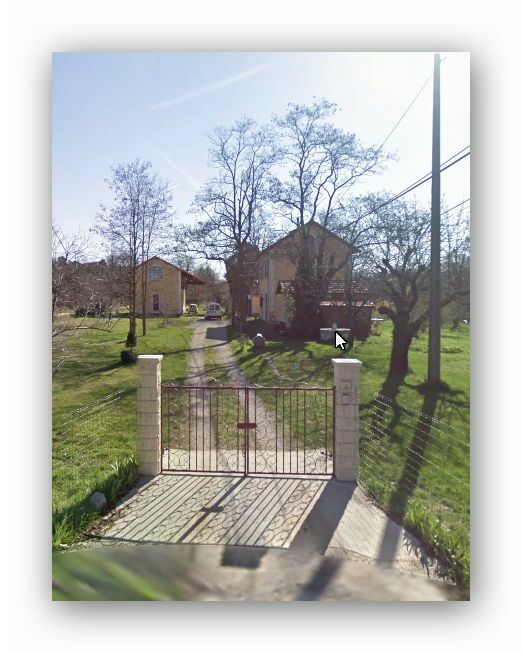 Two of the old buildings exist unaltered. 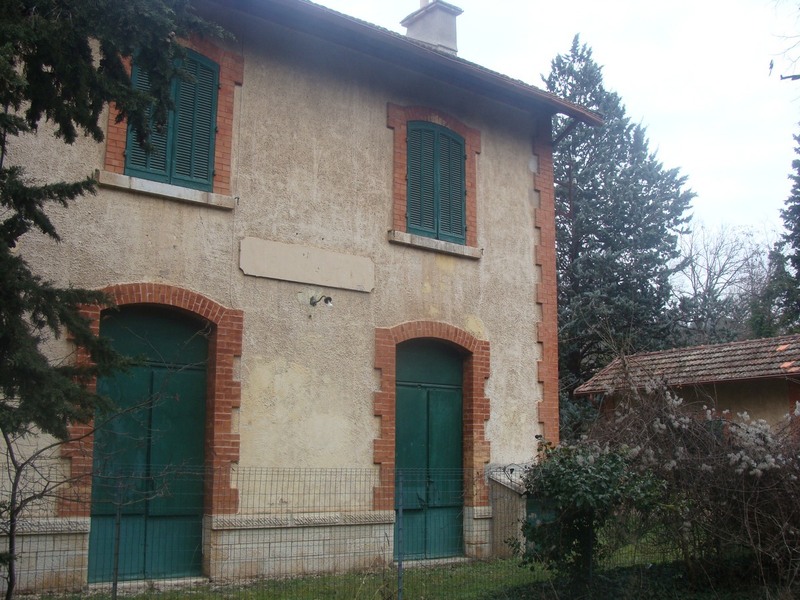 The third has been converted extended to improve its use as a Wine Cooperative building. 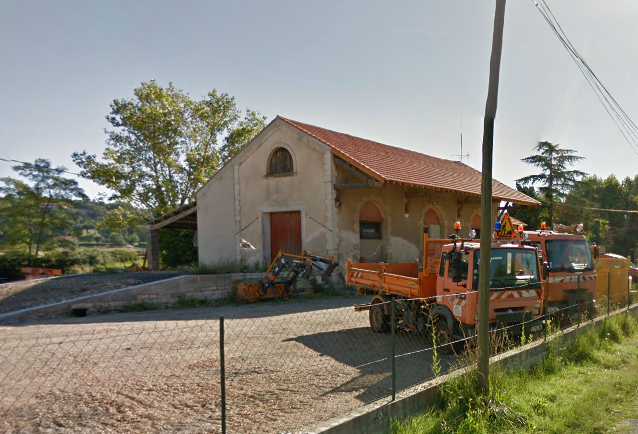 The “Rians et Artigues” winery was founded in 1922 and made use of the railway to transport its produce. 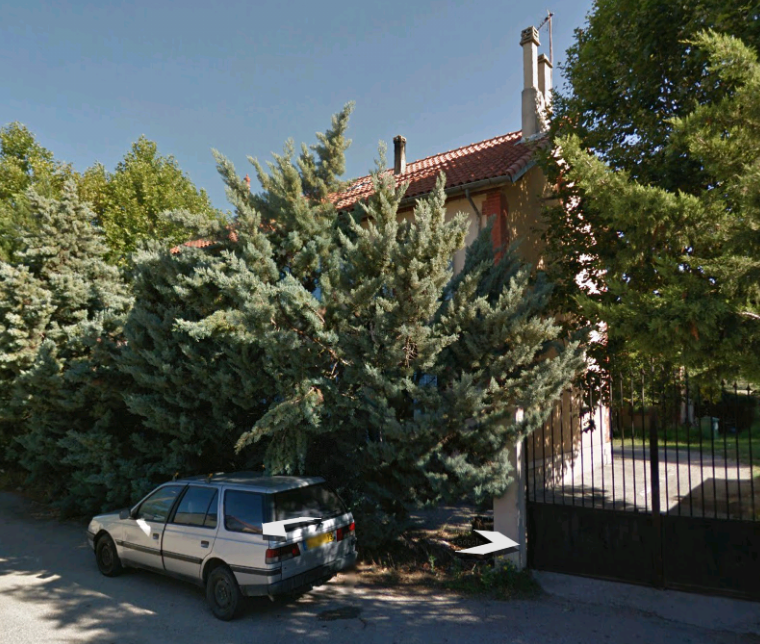 I have found fiures for its operational capacity in 1979. 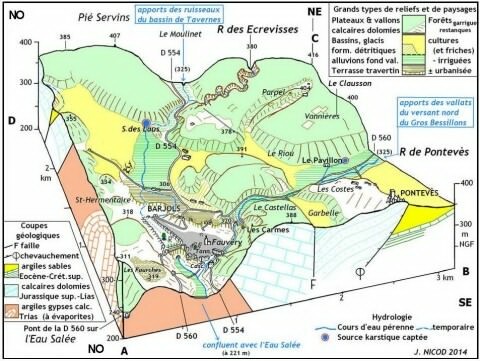 That year it vinified 19,235 hectolitres of wine, including 574 hectolitres of AOC Coteaux d’Aix-en-Provence. 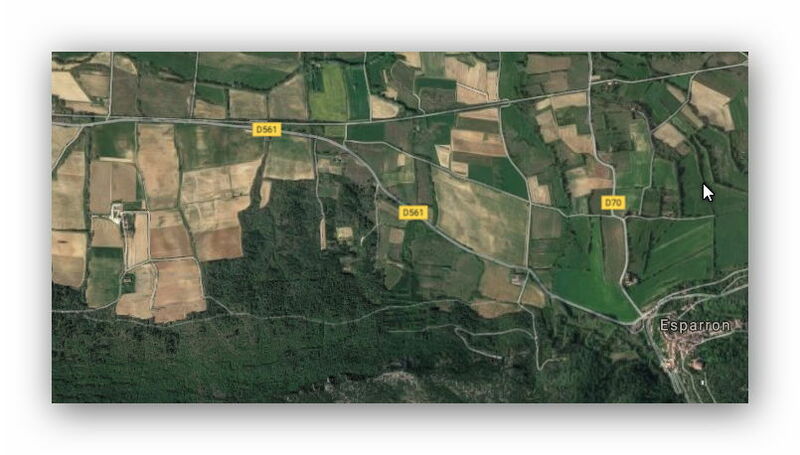 It had 252 members who were then cultivating 296 hectares of vines. 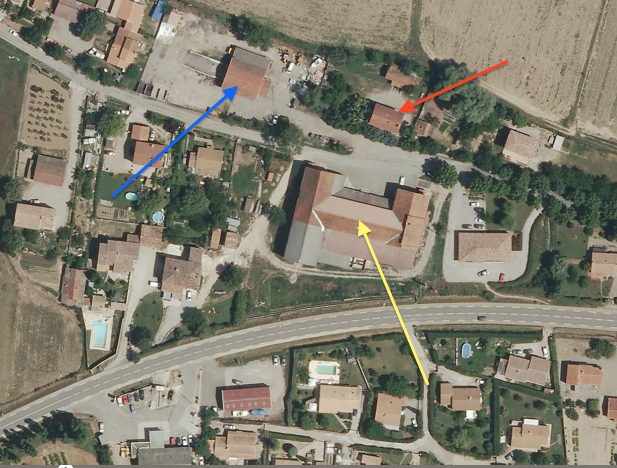 The building is marked with the yellow arrow. 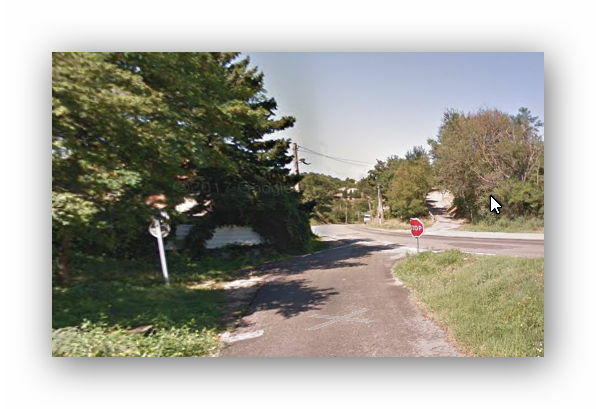 The passenger station building is marked with a red arrow and now-a-days hides behind a high hedge. The Goods Shed is marked with a blue arrow. The station site is marked with a red ellipse on the plan below. We disembark our train here in Rians to take a break before travelling on. 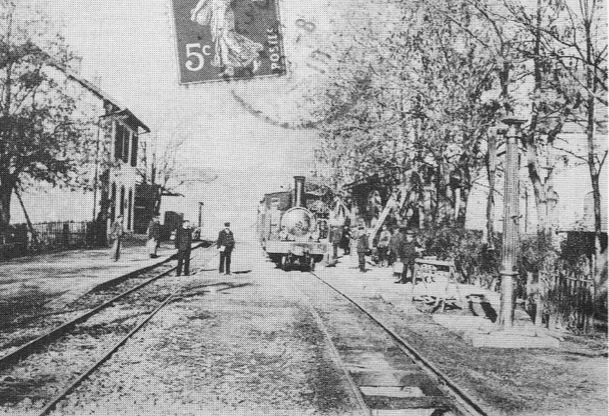 This entry was posted in Railways and Tramways Around Nice, Railways Blog on December 10, 2017 by rogerfarnworth.